Furnace Service | Global Warming & Cooling, Inc. Global Warming & Cooling is a residential and commercial heating company in San Diego that has around-the-clock availability to care for your heating system. Our licensed and certified technicians are experienced in servicing all makes and models of heating equipment in San Diego and the surrounding areas, including Mira Mesa, Rancho Bernardo, Poway, and Rancho Penasquitos. Even though the temperatures don’t fall below zero in Southern California, winter temps can still get chilly. Don’t be left in the cold. Let Global Warming & Cooling bring comfort and warmth to your home. Furnaces are the most popular way to keep homes warm in the winter, even in sunny California. These systems use electric or gas to generate heat and distribute it through your home via the ductwork. Over time, it’s essential to need a heating service in Mira Mesa and all the surrounding areas in San Diego done, and we’re the company to do it. Global Warming & Cooling has the highest quality technicians around who take pride in maintaining up to date knowledge of the industry. Each one is licensed and certified in working on all types of heating equipment, including gas and electric furnaces. Each job is done right the first time around so that you don’t have to worry about needing additional appointments or wasting excess energy. If it turns out that your home needs a San Diego furnace installation, we can discuss your options. 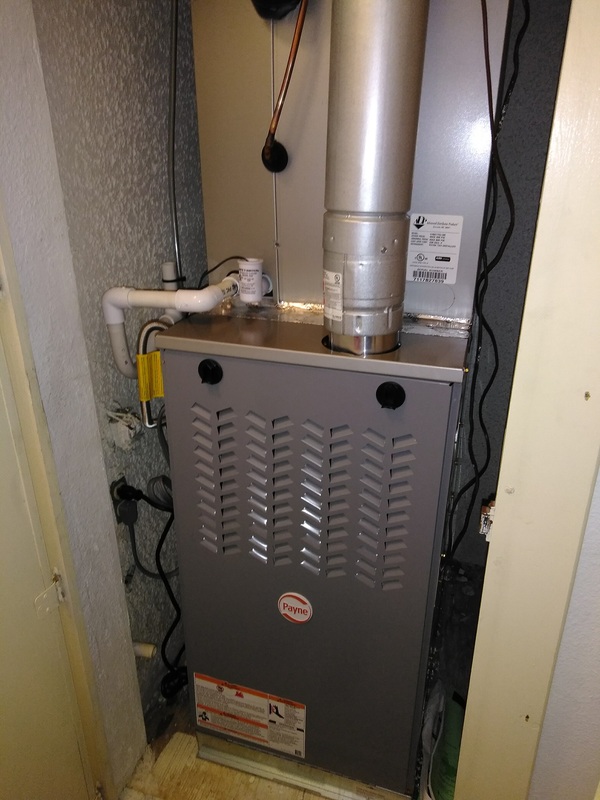 You may want to have a new furnace installed, or we can talk about other options for Southern California homes, such as heat pumps, dual fuel systems or ductless systems. Gas and electric furnaces have a lot of parts, which can make it difficult to diagnose the root problem. Additionally, because heating equipment uses gas to keep the home warm, improperly working parts can be hazardous and contribute to health problems. This is why it’s important to address HVAC repair in San Diego immediately, as you need to protect your home, health and fire risk. Our locally owned HVAC company always puts customers first. Here is what you can expect by choosing us for your indoor comfort needs. Global Warming & Cooling is here for you when you need us. To keep your furnace in good working condition, we recommend having it serviced annually. This gives our NATE-certified techs the chance to check all connections and parts for performance. Common issues with furnace equipment include dirty filters, broken thermostats, a lack of maintenance and wear and tear. Once diagnosed, our techs will give you a breakdown of the furnace repair in Poway and its cost. If your furnace is beyond repair, we’ll help you choose a new model based on your needs and budget. For prompt service and attention for your furnace, call us today.